We hold a vision for a world where all human beings have access to opportunities that enable themselves, their families, and their communities to thrive. We are a nonprofit organization empowering marginalized communities around the world to rise above poverty through the creation of dignified economic opportunities. 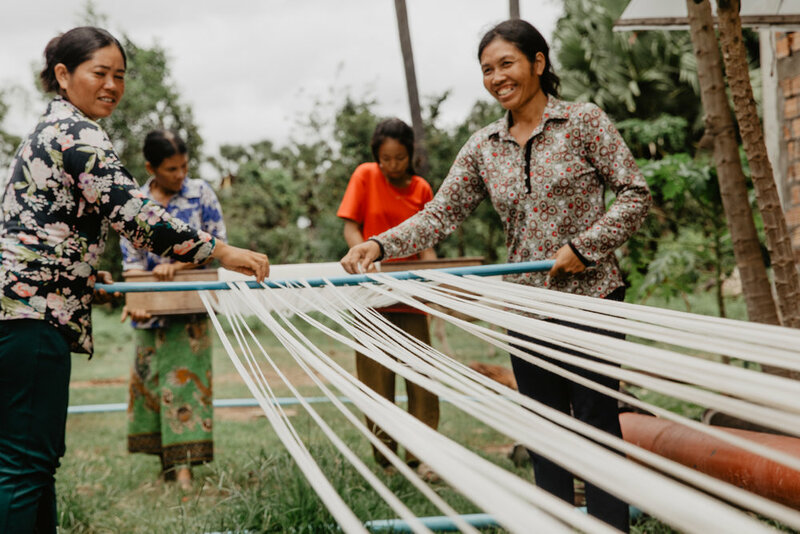 We are working to break cycles of poverty by partnering with female artisans in Cambodia to create demand for their products and help them generate sustainable, consistent, and dignified sources of income. We invest all profits from our sales, along with donations and grants, into skill training and empowerment programs for our artisans and their families. We want at-risk communities, throughout the developing world, to be empowered with a strong foundation of economic opportunities, education, and community support, from which they can choose their future and transform their lives. Interested in learning more about Collective? Check out our short film produced by Gentry Faith Wilson. This short film captures the heart and soul of Collective Humanity and elaborates on why we believe, so strongly, that this work is so important. If you are interested in getting more involved, please click the link below. We’d love to have you join us on this journey.